Evesham Glass and Glazing are verified Guardian Warm Roof System Installers. Guardian Warm Roof systems are the UK’s market leader for tiled conservatory roof systems. If your conservatory is too hot in the summer or too cold in the winter, Evesham Glass and Glazing will have a Guardian solution to your problem. Why Choose Guardian Warm Roof Systems? Is your conservatory too hot? too cold? Or too noisy? Many homeowners, who have a conservatory usually say have the same issue. They love their conservatory but it’s either too hot, too cold or too noisy. Most of the issues are down to one element, the roof. 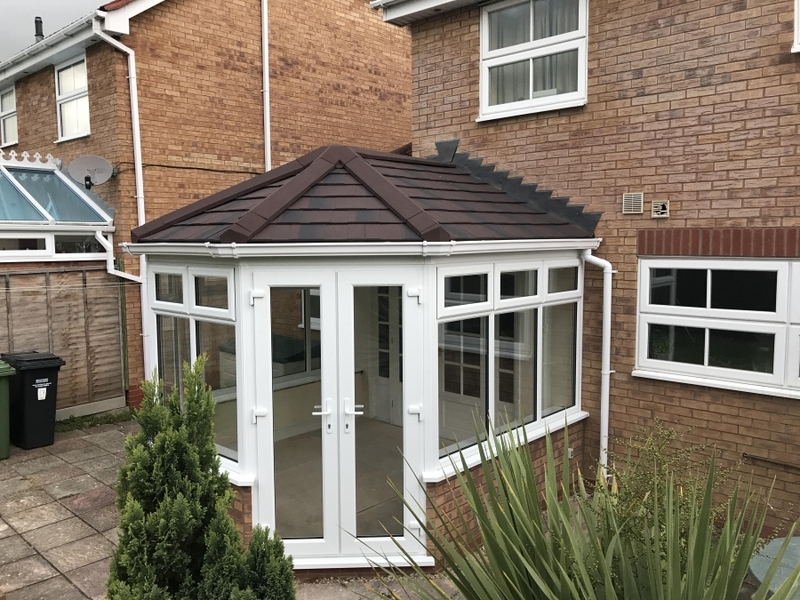 So by replacing the glass or polycarbonate roof with a stylish Guardian™ tiled roof you don’t just improve the appearance, you now have a fully insulated soundproofed roof that is exactly what you always wanted. Nice and airey inside, substantial and impressive on the outside. 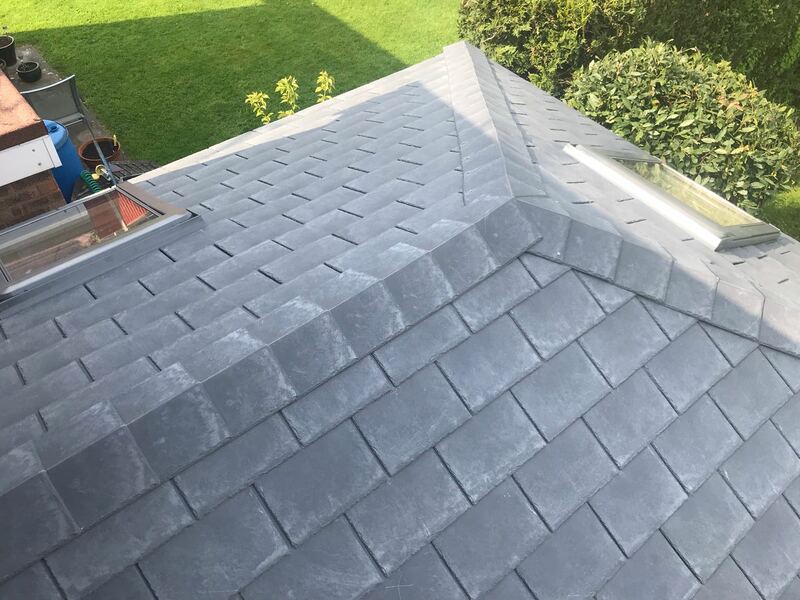 I’m interested in finding out more about Guardian Warm Roof System and how Evesham Roofing Limited can provide me with a competitive quotation. I would like to thank you and your team for a very professional job in installing a Guardian Roof System in some very changeable conditions. I was very impressed by the way you started the job on the day that you promised and completed it within the time span discussed. Your fitters Dan and Aaron were very tidy and cleaned up at the end of each day as well as removing all of the rubbish at the end of the project. I am delighted with the quality of the roof and having experienced rain, wind and hailstone storms the noise has been minimal which makes the room habitable which t would not have been the case with the old polycarbonate roof. I will certainly recommend Evesham Glass and Glazing for this type of installation. We would just like to say how grateful we are to Dane, Ashley and the rest of the team at Evesham Glass and Glazing on the conversion of our conservatory roof to a Guardian Roof. From start to finish the whole process was quite effortless, everything was explained and planned to the T and there was nothing for us to do. We are extremely pleased with the finished product which has transformed our conservatory into an all season room. Absolutely delighted with the new roof on the conservatory on the hottest day of the year we came back home and the room was lovely and cool which is a first as we would have needed to open all the windows just have been able to breathe in there!